Since I'm not a morning person, I try to make mornings easier by finding new ways to have fun with breakfast. 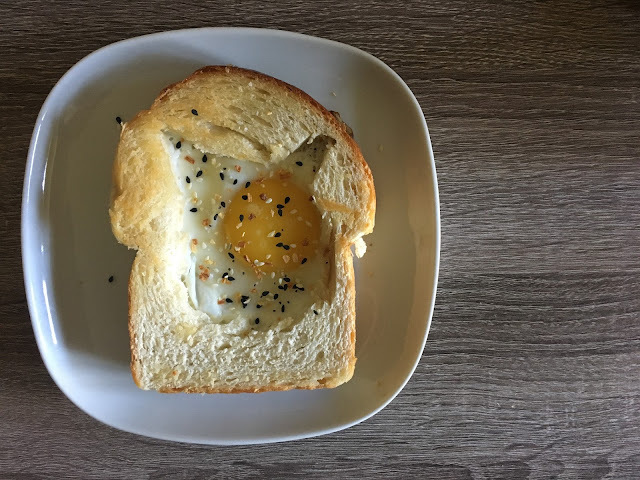 Avocado toast has been taking over my mornings lately but then I remembered a cute breakfast an ex-boyfriend once made me: egg-in-the-hole (I thought it was super fancy). 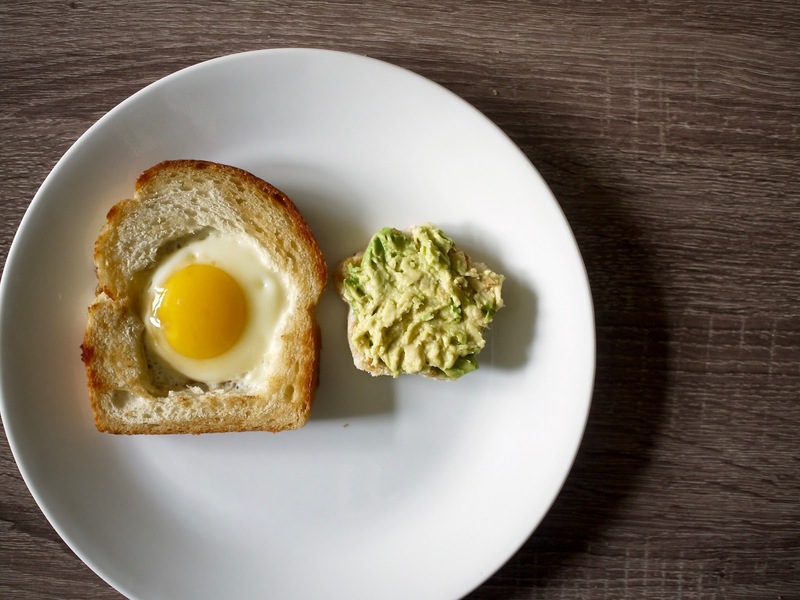 But as fancy as an egg cooked inside a piece of toast may look, it actually is pretty easy. You just cut out a 2-3 inch circle in a piece of bread and toast the bread in a buttered skillet. Then you crack the egg inside the hole. Easy peasy! And you can have fun with different shapes by using different cookie cutters. Most people go the heart route, but I decided to cut some triangles in addition to a circle to create a cat head. But after making my first egg-in-the-hole, I felt myself missing my usual avocado toast. So on my second attempt, I used a cupcake cookie cutter and used the cutout cupcake and made a tiny avocado toast to eat alongside the egg-in-the-hole. It's a match made in heaven. Have fun with a cute breakfast to cheer you up if you're not a morning person like me. And here's a recipe from the Food Network if you need one.